Dodona (Δωδώνα, Δωδώνη, Dodoni) is an important ancient Greek oracle, second in fame only to Delphi. It is located in a strategic pass at the eastern slopes of the imposing Mt. Tomaros, close to the modern city of Ioannina in western Epiros. It was dedicated to Zeus and Dione, and the Greeks believed it to be the most ancient of oracles. The location provided abundant water through natural springs and rivers, and ample pasture land where "dwell men who have many sheep and many oxen, and they are in number past telling, tribes of mortal men. And there upon its border is built a city, Dodona ; and Zeus loved it and (appointed) it to be his oracle, reverenced by men........And they (the doves) lived in the hollow of an oak. From them men of earth carry away all kinds of prophecy, — whosoever fares to that spot and questions the deathless god, and comes bringing gifts with good omens." (Hesiod, Kindle Locations 1368-1371). Besides mentioning the above mythological foundation of the oracle, Herodotus parses it to mean that the "black doves" were really women from Thebes who were sold to slavery by Phoenicians - one into Libya, and the other into Hellas (the area that was previously called Pelasgia). They were both attendants of Zeus in Thebes so it was natural for them to setup oracles to Zeus at their new place or residence. In yet another version of Dodona's foundation, Strabo relays Suidas' story "that the temple was transferred from Thessalia, from the part of Pelasgia which is about Skotoussa (and Skotoussa does belong to the territory called Thessalia Pelasgiotis)." (7.7.9.ff). The oracle was renown throughout ancient Greece and it is mentioned in both the Iliad and the Odyssey "O thou supreme! high-throned all height above! O great Pelasgic, Dodonaean Jove! Who 'midst surrounding frosts, and vapours chill, Presid'st on bleak Dodona's vocal hill: (Whose groves the Selli, race austere! surround, Their feet unwash'd, their slumbers on the ground; Who hear, from rustling oaks, thy dark decrees; And catch the fates, low-whispered in the breeze;)" Homer. The Iliad (Kindle Locations 9147-9151). This passage of Achilles' words at the funeral pyre of Patroclus describe how the Dodona priests slept on the earth and never washed their feet so they could always be one with the earth (perhaps a remnant of the earlier worship to the Great Goddess), and recited their decrees after listening to the "rustling oaks" as they "low-whispered in the breeze". While this seems to be the dominant account of the oracle delivery, several other versions exist. Sophocles mentions "oracular doves", Herodotus implies a lot process, and a 1st century version indicates that the sounds of bronze cauldrons hit by fallen acorns provided the source for the priests' prophecies. No matter the method, ancient folk from all around Magna Graecia made the pilgrimage to consult the oracle, and their questions have survived in lead tables - many of which have been found in excavations (see photos). 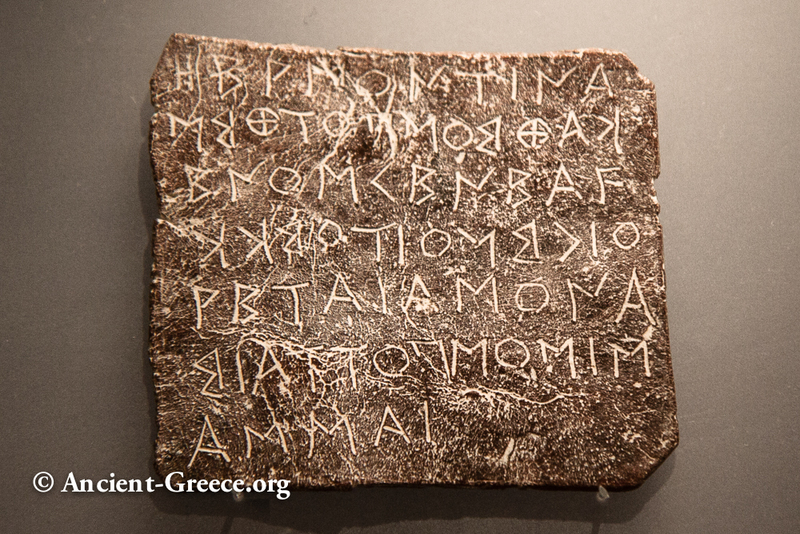 These remarkable records give us a candid glimpse into the main concerns of simple folk, for the oracle at Dodona seemed to be associated with simple private prophesies (as opposed to Delphi oracle that dealt also in weighted state matters). For example, on the lead table pictured on the left a certain Hermon asks to which god he should pray in order to get useful offspring from Kretaia (probably his wife). Early worship at the site seems to reach back to the first half of the 3d millennium BCE (or earlier) with the worship of the Great Goddess the goddess of fertility and abundance. Archaeological evidence indicates that this ancient cult was already associated with the sacred oak tree, which remained central in worship and divination even after the sanctuary became the domain of Zeus sometime either in early or middle Bronze Age. 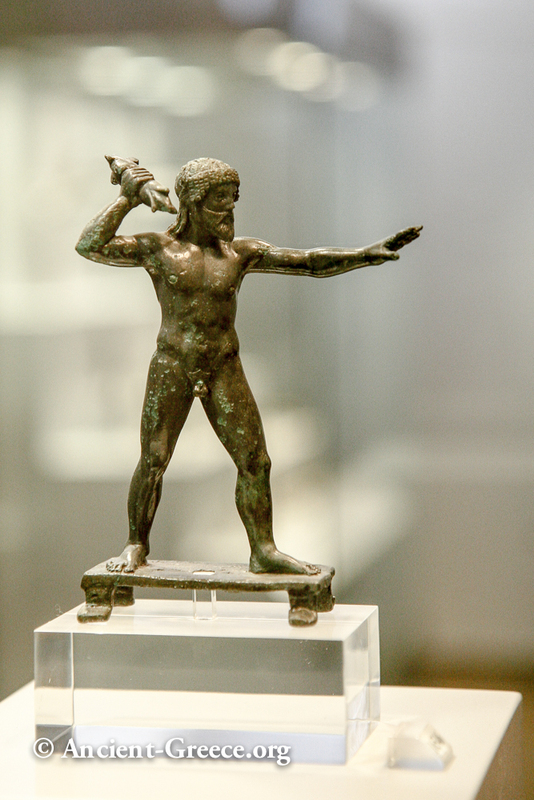 The god was called Zeus Naios (resident of the sanctuary) and Dodonaean (of Dodona). The prehistoric Great Goddess (perhaps Gea, or Ge = the Earth) was transformed into Zeus' companion, Dione, and the divine couple resided under the oak tree. Zeus was served by the soothsayers (Selli, or prophets), and Dione by three priestesses or Peleiades (doves) "of whom the eldest was named Promeneia, the next after her Timarete, and the youngest Nicandra;" (Herodotus, Kindle Locations 2714-2716). 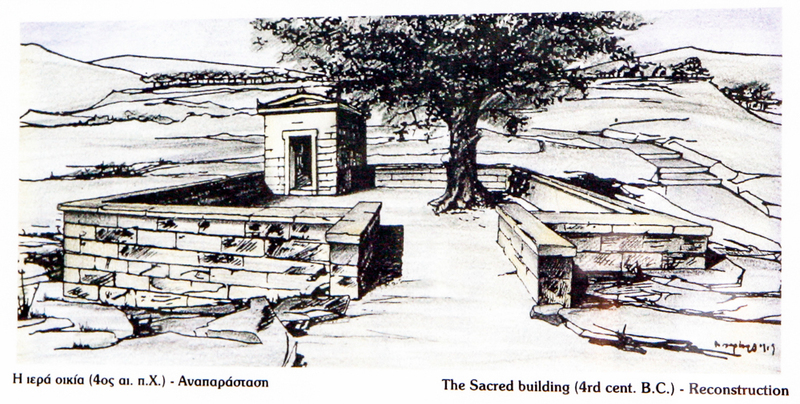 From its foundation and until the end of the 5th century BCE worship took place in the open, under the sacred oak tree where the Zeus and Dione lived. The priests, called hypophites, delivered Zeus' divinations by interpreting the rustling of the sacred oak's leaves and the flight of wild pigeons that nested in its foliage. After the 4th century BCE the sanctuary entered a new phase, being a major religious center for the League of Molossians and the Epirote shepherds, and later for the Epirote Aliance which transformed into the Epirote League in 234 BCE. During these centuries, the Hiera Oikia (literally, "sacred house") was built along with temples dedicated to Dione, Heracles, Themis, and Aphrodite. 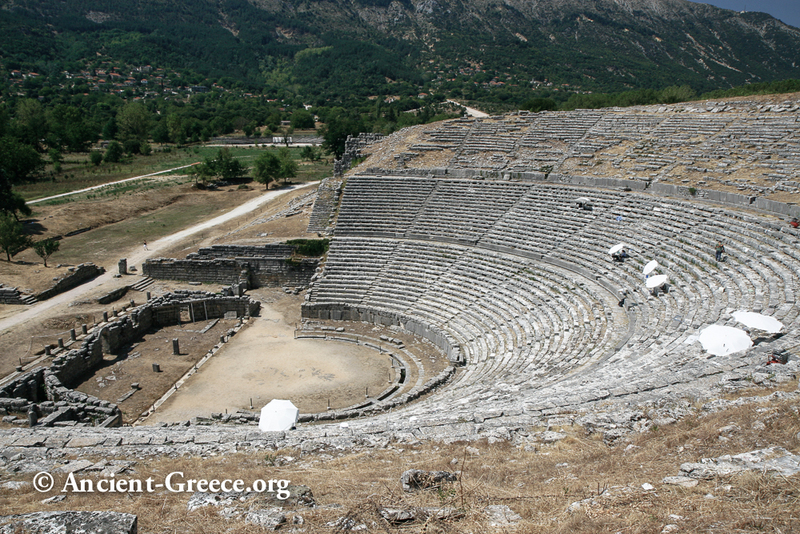 Reflecting the success Dodona several monumental buildings were also erected, most notable of which were the theatre, the bouleuterion, the prytaneion, and the stadium. 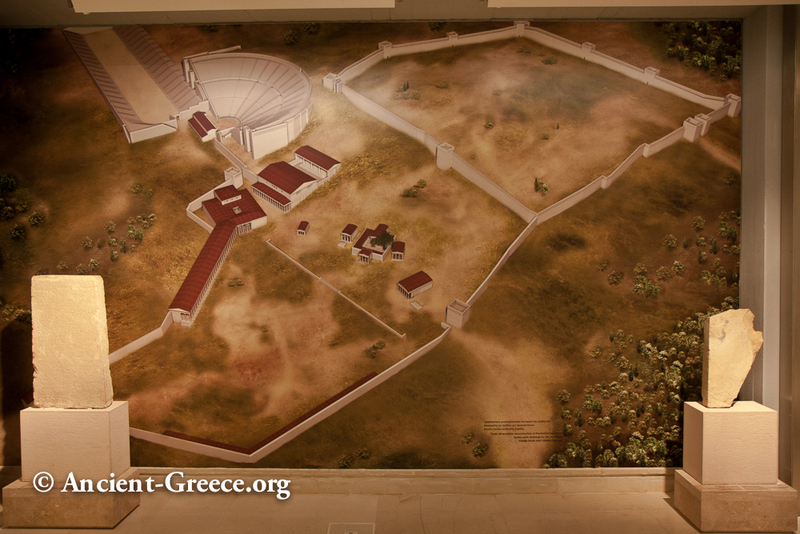 The sanctuary's zenith coincided with the reign of Pyrrhus (319-272 BCE) when it became the religious and political center of the Epirot Alliance. At this time the Naia festival was founded, featuring athletic events and dramatic contests probably every four years. The Aetolians destroyed the sanctuary in 219 BCE, but it was subsequently repaired and improvements were made in the form of stoas and monumental gates. About fifty years later, in 168/7 BCE, the Roman Lucius Aemilius Paullus razed the sanctuary as punishment for the Epirote alliance with Perseus. The sanctuary was repaired once again and functioned for almost another century, but it was almost deserted after Mithradates sacked it during his wars with the Romans in 86 BCE. Augustus contributed to its resurrection, and the Naia festival continue to be celebrated during Roman imperial times and until the 4th century CE, even though by Strabo's time it was "virtually extinct" (Strabo, Geography 7.7.9 ff). 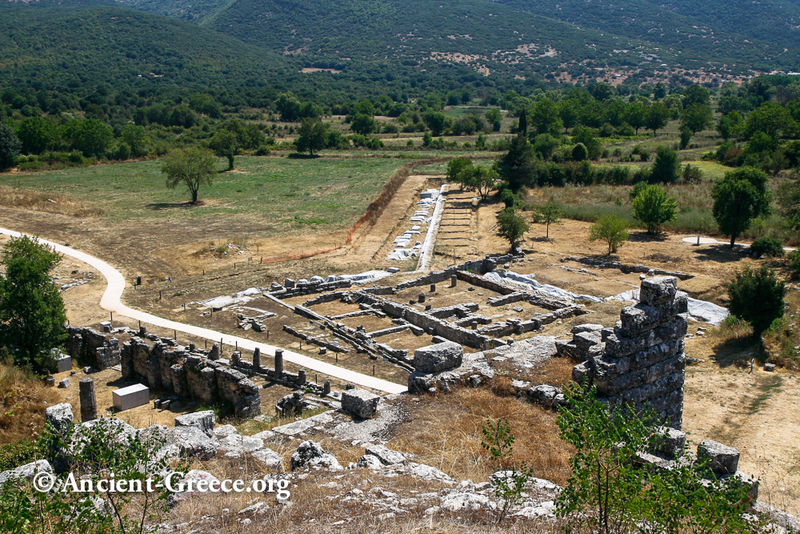 After the 1st century BCE, Dodona lingered in obscurity but it remained active. Justinian was the last Roman Emperor who visited it, but the sanctuary was finally razed and the sacred oak uprooted when Emperor Theodosius banned all Pagan sites and festivals in 393 BCE. 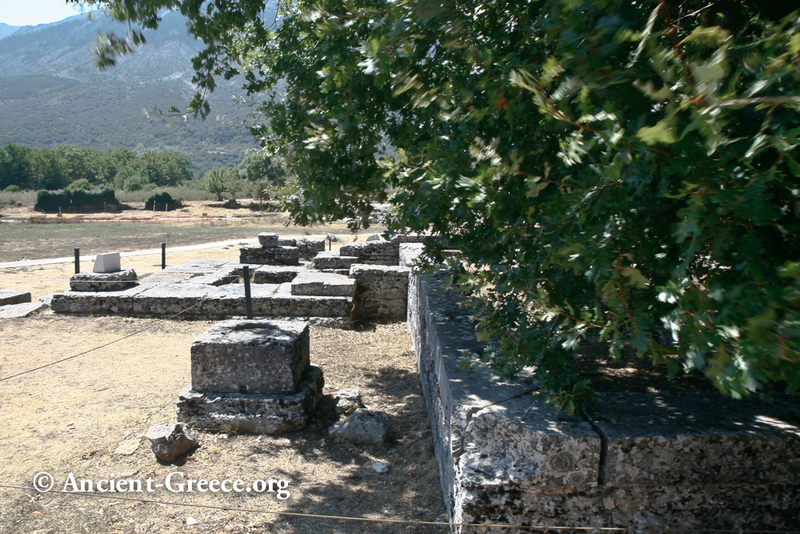 Besides the building of a Christian Basilica in the 5th century CE, Dodona remained inconspicuous in Byzantine times and during the subsequent Ottoman occupation of Greece. The site was identified in 1873 by Konstantinos Karapanos and intermittent excavations occurred in 1913 in1921, and 1929, but systematic archaeological investigation began in in 1952 under Evangelidis and Dakaris. Many of the buildings, including the theatre were restored after that time. Excavations and modest restorations are ongoing, and the ancient theatre had undergone further restorations by 2014.